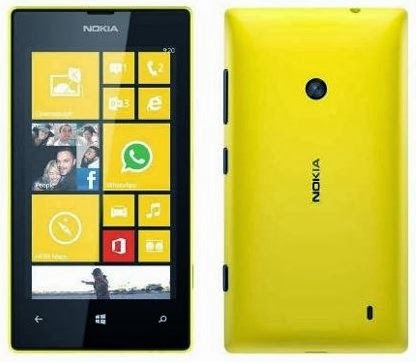 The Nokia Lumia 525 is the successor to Lumia 520, which is the best selling Windows Phone smartphone, globally. The Lumia 525 comes with twice the RAM and a glossier body compared to its predecessor. It features a 4-inch screen with 800x480p resolution and 235ppi pixel density, same as that of the Lumia 520. Powered by a 1GHz dual-core Snapdragon S4 processor and 1GB RAM, the phone runs Windows Phone 8. The phone comes with 8GB internal storage, microSD card support up to 64GB and 7GB free SkyDrive storage. The Lumia 525 sports a 5MP autofocus rear camera, however, there is no flash at the back or a front camera. The phone can access the internet via 2G, 3G and Wi-Fi networks and transfer data via Bluetooth 4.0 and microUSB 2.0. The phone packs a 1,430mAh battery and has been launched in four colour options - white, black, yellow and orange.